“Sites is a hamlet tucked into the folds of the Coast Range mountains about nine miles west of Maxwell on the way to Lodoga. Its population: 17-20, if you include the three people living in the immediate suburbs,” wrote Tom Nadeau in the Marysville-Yuba City Appeal Democrat. The little town recently gained prominence in the news when it sought to convert the old town square into a park. The town was named for John Sites, pioneer rancher, who gave the land for the town site. His biography, which appears in Green’s History of Colusa County, makes interesting reading. “I was born in Hesse, Germany, Oct. 4, 1832. I have no remembrance of my mother who died when I was two years old. My father, Henry Sites, brought me to America in 1834 and located in St. Charles County, Missouri. The school system then was not like it is in California today, hence my early teaching was limited; besides I had to assist my father on his farm, and also hired out considerable. The knowledge I now possess I gather all along the busy walks of life. “On the 16th of April 1850, I left St. Charles County with Mr. Fisher, having previously agreed for him to bring me with him on consideration that I work for him nine months after we arrived in California. First of May we came to St. Joseph where we fitted out for the long journey across the plains. 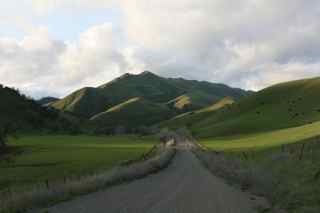 This narrative continues, relating his ups and downs until coming to Antelope Valley in western Colusa County with a large herd of cattle in 1858. He continued to acquire land, switched from cattle to sheep, married and raised a family, eventually owning some 6,000 acres. Among other early settlers to the valley were John D. Rosenberger who came in 1867, Maurice Dooling and Peter Peterson in 1869, the latter farming Salt Lake Ranch, so called because of the springs of salt water that formed a lake after the winter rains. In 1876 John Sites was joined by a half-brother, Will Sites, who took up farming. In the valley was found ample feed for sheep and cattle. A sufficient rainfall assured a good harvest of wheat and barley. Will S. Green, Editor of the Colusa Sun, writes in the 1878 Holiday Supplement an account of a visit to every farm in Colusa County valued at $10,000 or more. Leaving Stony Creek he follows the Grapevine road into the valley in his account. John D. Rosenberger has 1,475 acres, 500 acres in wheat and 600 in barley. He has a small orchard in fine condition and grows successfully all kinds of vegetables. He has a large number of graded sheep, one thoroughbred stallion and raises hogs and cattle. “Joining Rosenberger’s, J. D. S. and W. N. Taylor have a farm of 1,600 acres on which they have sheep and other kinds of stock. A portion of it is also planted in small grain. “John Sites owns 4,000 acres of land just above the canyon. He is occupied in raising sheep and other kinds of stock, and has in now 500 acres of wheat, 40 of barley and one of beets. He has a fine orchard in which we may find, in the summer, choice fruit. Mr. Sites is one of the first settlers in the county. “Peter Peterson, about two miles north of Sites, owns 10,140 acres of land on which he keeps 6,500 graded sheep, a lot of cattle, hogs, horses, etc. He has 1,000 acres of wheat and 200 of barley. Mr. Peterson has here a body of fine land, and his place was among the fist settled in this section. “We must not forget to stop into the Antelope schoolhouse where we find 17 children enrolled. J. P. Ashby is the teacher.” (The first school was established in 1871. It was built on Sites land. Religious services were held in the building on Sundays). Envisioning a great future for the area John Sites, on July 21, 1886, “laid out a map of a dream town” on his property. According to Tom Nadeau it had 80 foot wide streets and avenues, 30 foot wide alleys and 50 x 110 foot lots and a town square. The thoroughfares were names – Mills, Dean, Peterson, Jones, Grapevine, Blanchard, and Freshwater Streets and Stone Corral Avenue. When the Colusa and Lake Railroad bought the town site from Sites in January 1887 as a railhead, the company honored the plan drawn up by Sites, recording it with the county Clerk as drawn up with the streets and town square clearly depicted. An impetus was given to the train service by the opening up of a sandstone quarry near Sites by Alfred Knowles in 1886. The stone was reputed to be of fine quality. The Ferry Building in San Francisco was built of stone from the Knowles Quarry. It was superseded by the John McGilvray Stone Company that built up a big business, shipping hundreds of tons of sandstone to San Francisco. In 1905, 118,054 cubic yards of sandstone worth $29,454 was produced. Well known buildings in San Francisco using Sites sandstone in their construction were the Emporium, Spreckles and Flood buildings. Closer to home were the Carnegie libraries in Colusa and Marysville and the Kraft library in Red Bluff; more distant the Honolulu Hotel in Hawaii. The quality of the stone to resist heat was demonstrated in the 1906 San Francisco fire by the Kohl building which was built of Sites stone. In 1889 a more modest project using the natural resources of the area was attempted when J. P. Rathburn harvested several tons of salt from Salt Lake north of Sites. The next year it produced ten more tons. However, competition from ocean water salt which could be produced more cheaply put an end to the project. A number of mineral springs in the mountain slopes west of Sites had been developed as popular health resorts. People from all over the northern end of the state were attracted to them, not only for their curative powers but for the fine hunting and fishing opportunities they offered. The Northern Railroad (now the Southern Pacific) brought them to Colusa Junction where they changed for the narrow-guage for the trip into Sites. Here they would take a stage to Fout Springs or Bartlett Springs. After their luggage was lashed to the back of the stage they donned linen dusters before boarding for the dusty road ahead. Four and sometimes six horses were needed for the mountain grades as well as a skillful driver who could guide the team safely on the grapevine grade. Though rugged grades may have posed a peril, there was little danger from hold-ups. Only one such incident occurred. On Sept. 1, 1889 the stage running between Sites and Bartlett Springs was stopped by a masked man near Leesville who took the express box but did not disturb the passengers, some of who had considerable money on their person. The robber escaped but with hopes for a haul dashed – the express box contained no money. The town of sites grew rapidly after the opening of the quarries. A post office was established Feb. 11, 1887. That same year, a $2,000 school building was erected to replace the old one. It was a white, two-story structure with a porch on the front. Classes were held in the lower floor. The second floor was reserved for community functions. Pupils of those days recall walking down to the quarry after school to get a ride home on the train. By 1905 there were 44 pupils in attendance. A small white building was erected in 1889 to serve as the Methodist Church. Rev. J. B. Needham preached there. In 1904 Father Wallrath of Colusa began the building of a Catholic Church in Sites. And of course there was the store. The town always had a store. It served as a gathering place for farmers when they came to town. Across from the store was the depot where railroad agent Willus Kruger held forth. Hotels and boarding houses became necessary with the influx of workers at the quarry. The two-story Shearin Hotel was a popular one. Some of the local families listed on the 1892 voters’ register were: Clark, Dooling, Huffmaster, Kennedy, Kirkup, Kruger, Malloway, Mapes, May, Peterson, Pryor, Smith, as well as numerous Sites and Shearin families. As cement began to replace sandstone as building material, the quarry business declined. This in turn marked the end of the Colusa and Lake Railroad. The last passenger run was made Aug. 5, 1914; the last freight run, May 21, 1915. On Aug. 4, 1916 a notice to sell the line a auction to satisfy a $50,000 mortgage was posted. A newspaper clipping of July 28, 1917 records the demise of the quarry. Machinery was taken down and hauled by truck to Maxwell for shipment to the purchaser, Raymond Granite Company. Five carloads of old iron were sent to San Francisco for recasting. After 12 years of idleness the quarry was opened briefly in September 1925. Stones weighing as much as 8½ tons were trucked to the Southern Pacific tracks at Maxwell for shipment to San Francisco. It proved to be a brief flurry. Ninety stones quarried and shaped were left on the quarry grounds. Contrary to some historians who would write ‘finis’ to Sites as an active community after the loss of quarry and railroad, Virginia Corbin Sites pictures it otherwise in the spirited account of the community from 1926 to 1945. “Sites was a thriving little town when I came there in 1926, as the wife of William Ernest Sites, a member of a pioneer family. We lived on the ranch his father William Franklin Sites has acquired since settling there in 1876. This was a large ranch, about a third of it being suitable for grain and alfalfa, the rest being range land. A good-sized herd of Aberdeen Angus beef cattle was raised here as well as sheep and barley. “Our neighbors to the south of us, the Dunlaps, raised beef cattle also theirs being the Hereford strain. They also raised grain crops. Other successful ranchers in the area were Bill Kirkup, Ray Kennedy, Bryan and Floyd Sites, the Petersons, Gorge Sites, Hayden Cushman, who farmed the Laugenour ranch, J. Will Jones, the Dooling brothers, Ed Shearin and Rodney Fletcher. There was a friendly and cooperative feeling between these ranchers and their families. They helped each other with the work of marking and branding cattle as well and butchering and curing pork. “The school house was a two story building, and much of the life on the community was centered there. I found teaching the children there to be a pleasant experience. They were well mannered and courteous, from good families and were eager and enthusiastic. It was truly a job to work with them. There were six Dunlaps, the eldest, Charles having been graduated the year before I came. So we had Thurza, Jeanette, Jim, June, Bill and Bob; Ellen and Bob Rigg, Jim Bob Kennedy; Elva Sites and three Tanson children, Melvin, Melba and Richard making eight grades in all. “We put on programs for all the holidays, in the upper story of the school house, and received enthusiastic support from the community. Later the school was consolidated with the Maxwell schools, and a bus picked up the children for both grammar and high school. Dinners to raise money for the church were also held in the upper story of the school house as well as card parties and dances. Ridge was a popular card game, even among some of the older men of the community. “During the depression years the members of the community turned to each other for inspiration and help. The men cut each other’s hair to save the price of a trip to the barber shop. We had dinners and card parties in our homes instead of more costly entertainment. These were really good years. We learned to depend on ourselves and each other to create our own good times. All recovered from the effects of Depression and went forward to successful farming and stock raising. “The women had a sewing club and got together once a month or so for a social afternoon of possibly a shower for someone, with sewing, visiting and refreshments. “The store which also had the post office in it was stocked with staple supplies and was a great convenience and accommodation to the community. Earl Sites and his father, Charles Sites, were the proprietors of the store at this time, followed by Georgia Ickanberry and Bell Riggs. Eventually the post office service was discontinued and the residents got their main in Maxwell. “One of the reminders of the past was the old Stone House on a hillside in the canyon at the entrance to the town. It was built by the Quarry owners out of sandstone from the quarry and was the residence for the superintendent of the quarry. After the closing of the quarry it was abandoned and became known as the “Haunted House.” It was the subject of speculation. Poems were written about it. It has gradually reached a state of disrepair with only a few stones left to mark its site. A calamity overtook Sites in 1965 when a forest fire swept down on it. The fire started when a PG&E worker replaces a fuse on a pole along Highway 162. A burning fuse dropped into the grass. A strong north wind fanned to burning grass into a blaze that leaped the highway and, in its mad rush, the Clark’s Valley road as well. As it spread southward it began crowning in the tree tops. It cut a swath three or four miles wide, eventually burning 65,000 acres. Ranchers in its path lost out buildings, fences and a great number of sheep and other stock. Some half dozen homes in Sites were burned as it swept through the town. Evidence of some of the streets was lost in the fiery advance. Now a generation later what assessment can be made of Sites? Is it just a way-stop on the road? Has all been said when it is listed as a town of 17 population? When a project of turning the old town square into a park was planned, a Sites Recreation Association of 60 members was formed to accomplish this. It was made up of valley land owners and many former residents who still feel a part of Sites. Yes – Sites is a town of spirit.